Harvard University Provost Steven E. Hyman has named Jorge Domínguez, Clarence Dillon Professor of International Affairs, to the newly created post of vice provost for international affairs. In his role as vice provost for international affairs, Domínguez will develop and oversee a variety of University-wide initiatives and policies relating to international research and education. He will work with deans and faculty across the University to create and support new international research collaborations. Domínguez will also encourage and nurture University activities abroad that serve the needs of multiple Schools. He will, consistent with Harvard College’s established priorities, seek to grow international study opportunities for undergraduates and will serve on the Harvard International Office’s Advisory Committee. Domínguez will also serve as the senior adviser to the dean of the FAS on International Studies. He will advise the dean in planning the future development of international studies across the FAS. In addition, Domínguez will work with deans and professors to consider whether and how Harvard should establish centers, projects and offices outside the United States. He will also provide oversight, or joint oversight, of those activities. The vice provost will review all proposals for interfaculty initiatives in the area of international studies, working closely with deans and faculty to encourage and develop such proposals. The Office of the Vice Provost for International Affairs will be a repository for information about Harvard’s activities outside the United States. The office will also be a source of information for international students and scholars here at Harvard, helping to foster a sense of community. “Harvard’s world-class faculty and students already engage in the world far beyond Cambridge and Boston. Our task now is to facilitate the work that first-rate scholars and students wish to do,” said Domínguez. Before accepting this new post, Domínguez was the director of the Weatherhead Center for International Affairs, a position that he has held since 1996 and will be leaving in late June. 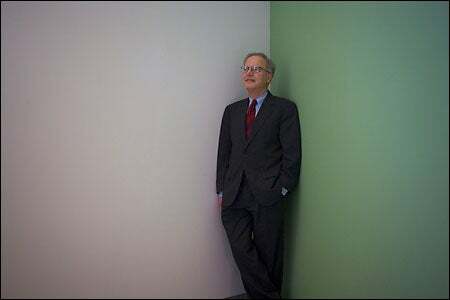 He is the chairman of the Harvard Academy for International and Area Studies, a member of the Executive Committee of the David Rockefeller Center for Latin American Studies, and the FAS Committee on Latin America and Iberian Studies. He chaired the Provost’s Task Force on International Issues at Harvard in 2004 and currently serves on the Provost’s Advisory Committee on the Latin American Scholarship Program of American Universities (LASPAU). Domínguez received his B.A. from Yale in 1967, before going on to get his M.A. (’68) and Ph.D. (’72) from Harvard. He began his teaching career at Harvard in 1972, as an assistant professor in the Government Department, and by 1979 was a full professor. He became the Frank G. Thomson Professor of Government in 1993, and in 1998 he was named a Harvard College Professor and, concurrently, Clarence Dillon Professor of International Affairs. He is a member of seven editorial boards, the Council on Foreign Relations, the American Political Science Association, and the Latin American Studies Association, among others. He has published several books and articles on topics ranging from comparative politics and international relations in Latin America to political transition in Cuba.